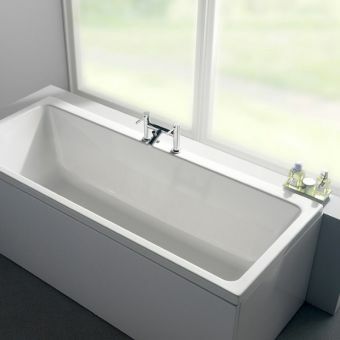 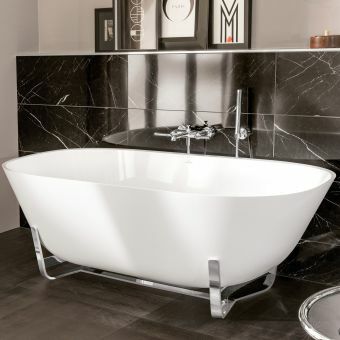 Sumptuous, graceful and luxuriant, the Richmond double ended bath from Origins is set to meet your every expectation. 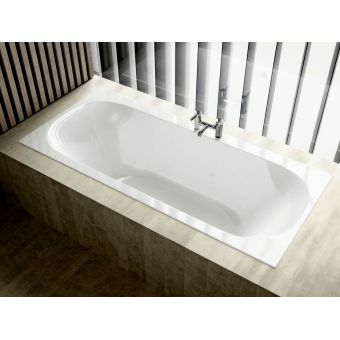 Featuring enticing and appealing lines, its gently curved interior is designed specifically for making every moment a bathing pleasure for two if required. 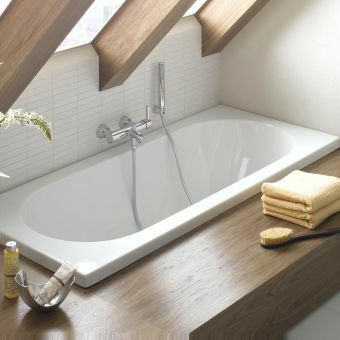 With a comfortable head rest area at each end and a central overflow and waste, nothing will impede your devotion to relaxation. 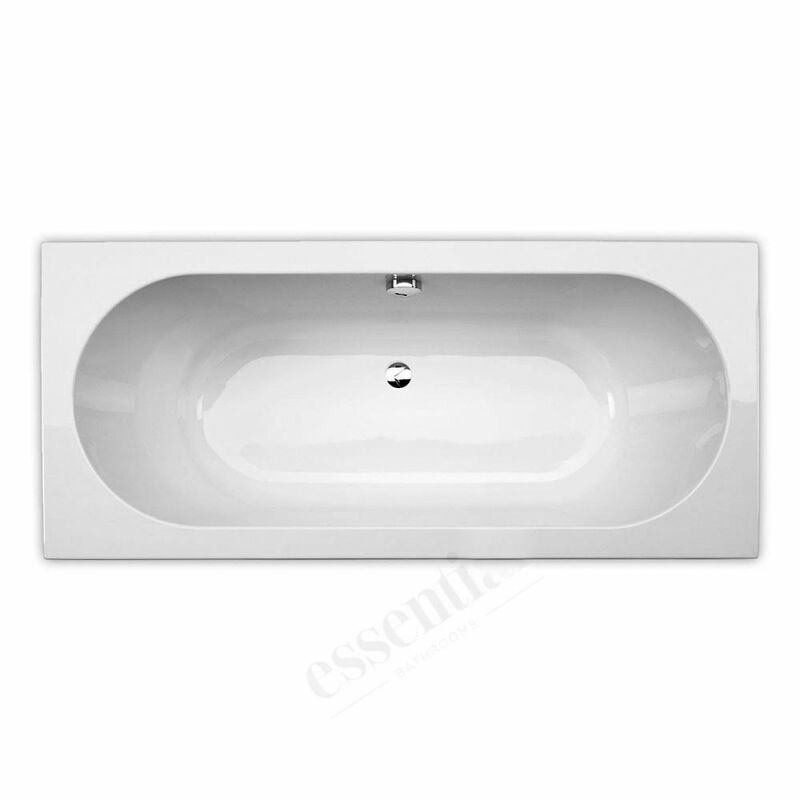 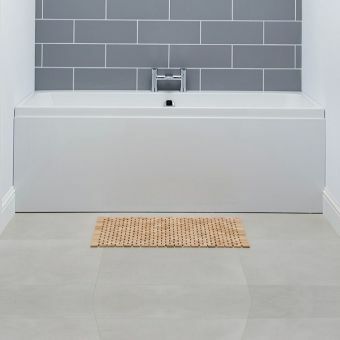 This Jewel in the crown of your bathroom comes in three spacious sizes which will allow you to create the bathroom of your dreams with its reinforced baseboard and sturdy 5mm acrylic made in a high gloss white finish. 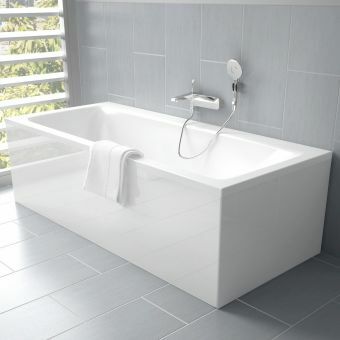 The adjustable leg set will make sure it is installed correctly and perfectly level ready to marry up to your tiling. 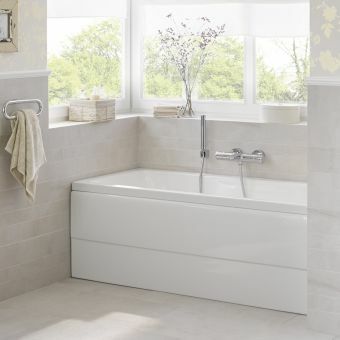 Taps and a compatible waste are extra and we have a wide range available from Origins.